Some KUBERG Electric Motorcycle Manuals PDF are above the page. 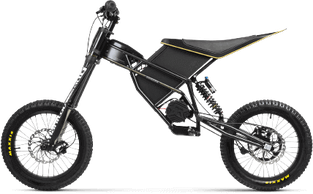 The appearance of the Czech brand Kuberg electric bike on sale was expected back in the 2014, but due to some circumstances the realization of the project called Freeride was thoroughly stretched in time. However, as of today, the novelty is already at the final stage, the manufacturer has launched an official website, and has also started accepting pre-orders. 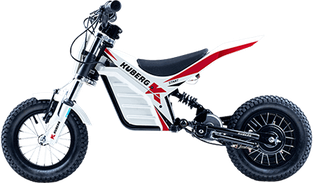 Kuberg Freerider - an environmentally friendly motorcycle, which has the appearance typical of mountain bikes for high-speed descent. Its mass is 36 kilograms, while the electric motor develops 11 horsepower of power, providing Freerider a top speed of 55 kilometers per hour. The engine receives energy from a 22-amp battery, which, if fully charged, is enough for one hour of active driving. Recharging the lithium-ion "battery" takes about two hours. approximate cost - 4 thousand USD. Look - EM Electric Motorcycles Manuals PDF.